This is a visual riddle poem. Word Power Poetry & Poetics: visual digital & concrete See the similarities in the letter shapes. 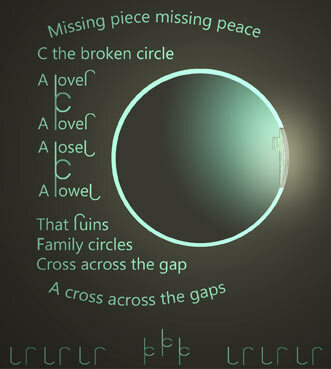 The juxtaposition of letters, sound and shapes is played with in this poem.